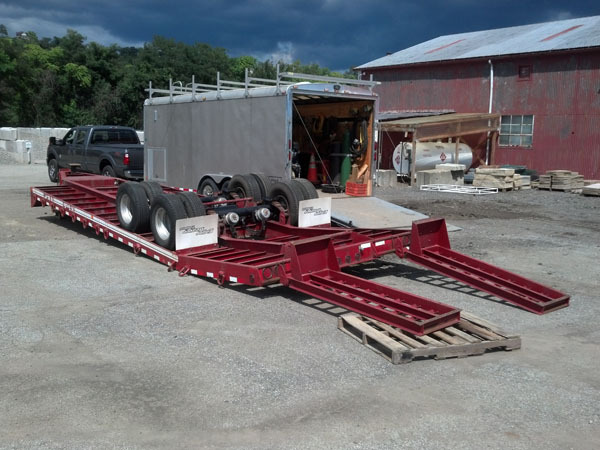 This Eager Beaver ten ton trailer with air brakes had factory installed air brake hoses with steel fittings on the ends. From exposure to the elements and moisture from being used on a daily basis the steel fittings were showing heavy sign of rust. 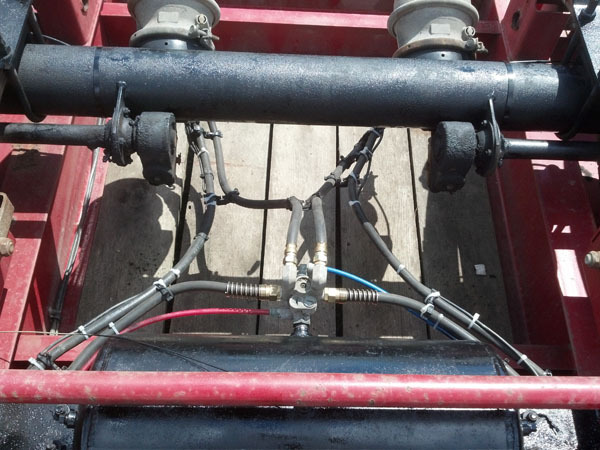 As a preventative measure all brake hoses were replaced with new hoses with brass fittings. To make our job easier the trailer was flipped upside down to allow better access to the air hoses under the trailer. 10 Ton Eager Beaver Trailer Flipped Over for Easy Access. All New Hoses With Brass Fittings. 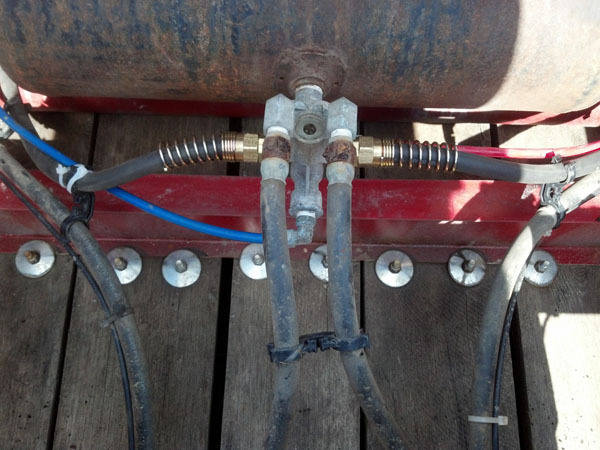 In addition to the brake hose replacement the trailer was completely lubricated including the jack, all brakes were inspected, and the tires were rotated.